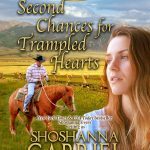 …until a handsome rancher reaches out to her, and she finds herself questioning everything she thought she knew about relationships and faith. When Megan Moore leaves New York City to live in the country — far away from the crowds, the traffic, and a controlling ex-fiancé — she finds herself way over her head in the mountains of rural northern Idaho. Zach Walker runs a cattle ranch with his friends in small-town Bear Creek Saddle. It’s not every day a beautiful woman falls into his life — and he’s been looking for a wife. He just had no idea the exact opposite of the traditional-type cowgirl he thought he wanted would end up needing his help. What’s a red-blooded man to do when he can’t get his mind off the wrong woman? As for Megan, she can’t let her growing friendship with the handsome, guitar-strumming cowboy put her at risk for getting into a smothering relationship again. She came to Bear Creek Saddle to prove to herself she could make it on her own—certainly without any help from a rancher. But Zach’s solid faith inspires Megan as she works to change her life. Megan doesn’t know anything about country life, so if she’s going to make it on her own in Idaho, she’ll need to learn fast. Bear Creek Saddle Cowboy is New York Times & USA Today bestselling author Shoshanna Evers’ second inspirational romance writing as Shoshanna Gabriel. 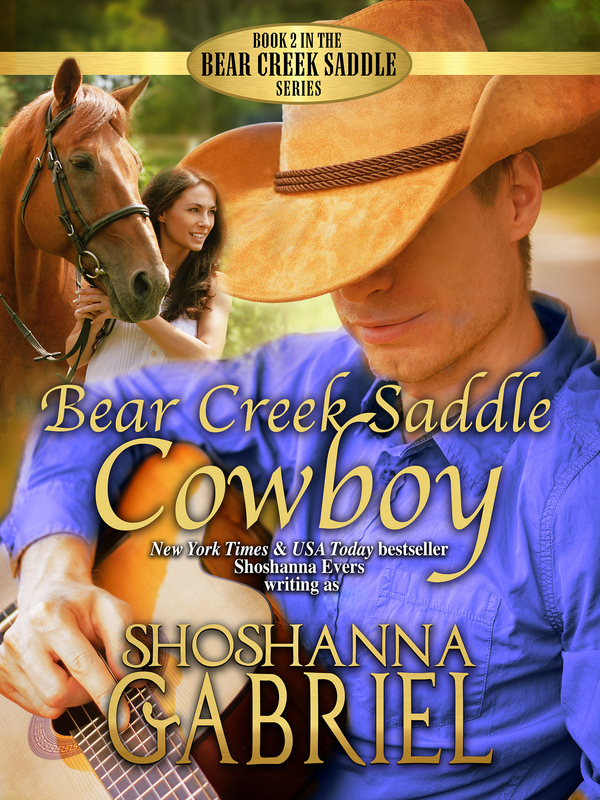 BONUS CONTENT: The first chapter of Book 3 in the Bear Creek Saddle Series is included! 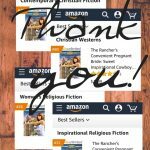 If you enjoy sweet, Christian inspirational, small-town, contemporary western romance, download a sample, buy now, or read for FREE in Kindle Unlimited! Be notified on release days! He was hours late getting started with ranch work. The guys all knew what was going on, but the cows sure didn’t. Still, he didn’t want to see Megan go. Zach had an overwhelming desire to keep her safe…fact was, he had an overwhelming desire to keep her, period. “If you’re holding on tight to the wrong woman, your arms won’t be free to grab hold of the right one.” That’s what Bill had said. At first, Zach had thought Bill was talking only about having to let go of his late wife so he could be with Allie. But then he’d realized—being with Paige, a girl Zach didn’t love, kept him from finding a woman he could fall in love with. He wasn’t gonna date around while he was still with her. The only way forward was out. If Zach wanted a wife (and he did), then he couldn’t afford to have Megan hanging around—especially considering how attracted he was to her. Getting to know her was the very last thing he should be doing. But…she’d practically fallen out of the sky into his lap—how could he not take notice? Well, she probably won’t be here that long, anyway. A few more days of slow country living and she’d be clamoring to go back to bright lights of New York City. Sure as the sun rose each morning—Zach wouldn’t even have time to get attached. So no harm, no foul. He paused, and looked at her. Did she really want to go, or did she want to stay and was just trying to be polite? Nah. New Yorkers weren’t known for their politeness. But the fact was—no matter how anxious he was to get to know Megan Moore better before she flew out of his life as quickly as she’d flown into it—there was still a bear issue to deal with. Beneath the table, Zach could feel the vibration of the table as her leg bounced up and down on the ball of her foot. Burning off nervous energy. Megan stilled, a freeze-frame in which he didn’t see her blink or even take in a breath. He held his breath along with her without realizing it. Her pink tongue touched the edge of her top teeth and stayed there as she stared at a space somewhere to her left. Megan had even more reason than he did to question whether taking him up on his offer was a good idea. He couldn’t blame her for hesitating. Zach looked down at her small hand, so delicate. There was no way he was taking payment. He wanted to meet her halfway across the table, to touch that smooth palm of hers, to see how small her hand was inside of his own. He swallowed hard, resisting the urge to take her hand in his, even as her open body language seemed to allow it. Don’t take that girl’s hand. “Oh goodness.” Her cheeks reddened. “I’m sorry, I…misinterpreted what may have been going through your mind. I don’t want to lead you on, that’s all. I mean—” Megan looked down at the table. Well. What should he say to that? The air hung silently between them. He hadn’t offered her a place to stay hoping to get lucky. But he understood why she’d assume his mind might be headed in that direction. Hard as he tried to keep his thoughts pure, as a red-blooded man he had to admit there was still a small, primal part in him that wanted nothing more than to haul the woman over his shoulder and take her into his bedroom. Most bachelors would have to say the same, if they were being honest about it. Not that he would act on it, for goodness’ sake. It was just a tiny flicker of a thought, and even those he tamped down when he could. It’s better for a man to marry than burn with lust. Man, he really needed to find himself a wife, and right fast. So maybe Megan had picked up on that vibe. Zach better get a hold on himself. Not look at her that way ever again, so she could feel safe with him. Still—it was a good thing she said something, because with a clear boundary he wouldn’t have to wonder how she felt about the situation. Now he knew. All that worry about getting distracted by his attraction to her was for nothing, because she didn’t want anything to do with him that way. That makes things easier. At least it should. Had she seen the interest in his eyes when he looked at her? Or maybe she’d just wanted to introduce the elephant in the room so they could start tiptoeing around it instead of crashing into it. He may’ve been too forward before, embracing her in the barn and getting into her boyfriend-business like that. She’d just looked so small and upset, comforting her seemed like the only right thing to do. Now he’d near scared the girl right out of Idaho. “I know you have no reason to trust me yet,” he acknowledged. He strode over to the counter by the phone, where he’d dropped his bag earlier. “I picked you up a new pepper spray while I was out. They didn’t have one in purple, so I got you…pink.” Zach shrugged and handed it to her. A smile finally broke out over her beautiful face, and she looked so much more relieved and relaxed than she did even a minute ago. She nodded toward the bedroom, and Zach laughed with her, shaking his head. Want to keep reading? Buy now on Amazon or read FREE in Kindle Unlimited. NOTE: Each book stands alone, has a different couple with their own HEA, no cliffhangers, and can be read out of order if you wish!